PNG, the Portable Network Graphics image format, is one little piece of the puzzle. This book makes PNG less puzzling by explaining the motivations behind PNG's creation, the ways in which it can be used, and the tools that can manipulate it. A Beginners Guide to HTML and CSS is a simple and comprehensive guide dedicated to helping beginners learn HTML and CSS. Outlining the fundamentals, this guide works through all common elements of front-end design and development. This is a guide to HTML, the chief markup language of the Internet. 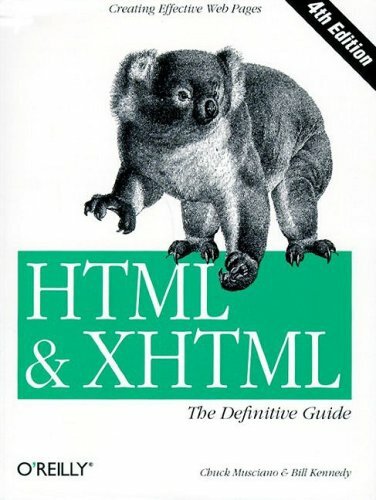 This book simply covers HTML syntax, not about how to make it dynamic. Cascading Style Sheets, a way of giving style to the markup, is covered only briefly in this book. SVG (Scalable Vector Graphics) is the new XML-based graphics standard that will enable Web documents to be smaller and more interactive. This book introduces SVG, it covers creating simple line drawings, filters, transformations, and more.